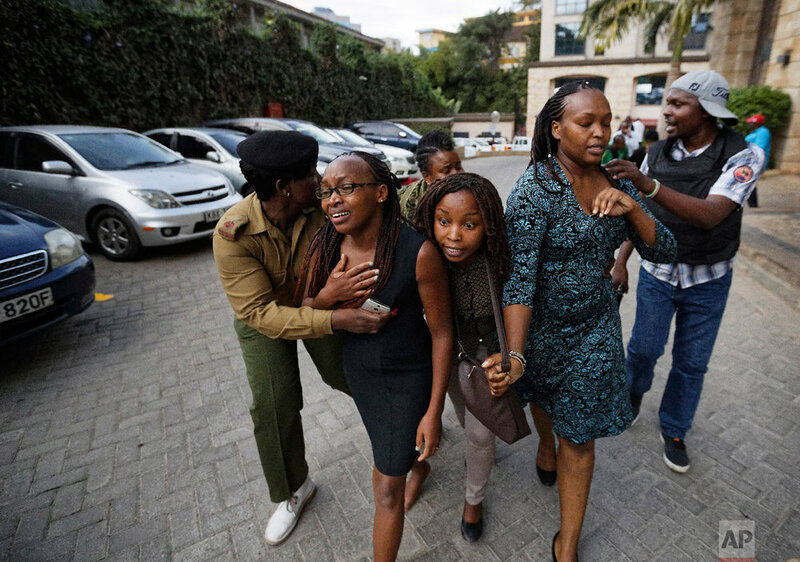 Extremists stormed a luxury hotel in Kenya's capital, setting off explosions and gunning down people at cafe tables. Al-Shabab, the Somalia-based Islamic extremist group, is claiming responsibility for the attack Tuesday in Nairobi. Kenyan authorities say more than 20 people were killed. The U.S. has confirmed one American was killed.